In 2016, the Manitoba Water Services Board issued a request for a THM pilot study to assess whether available technologies could mitigate THM formation in their Plumas Tank which was roughly 100,000 gallons (400 m3) in volume. In 2014, the Board had observed steadily increasing THM levels of over 200 ppb and had already started to test the removal of soluble organic material (one of the THM precursors), but realized that the detention time in the tank and the inherent water age in a 60 mile (96 km) pipeline would result in a significant level of THM formation even with organics removal. PAX Water Technologies (PAX) of Richmond, California (a division of UGSI Solutions, Inc.) was selected to perform the one-year pilot test to strip THMs from the Plumas tank. 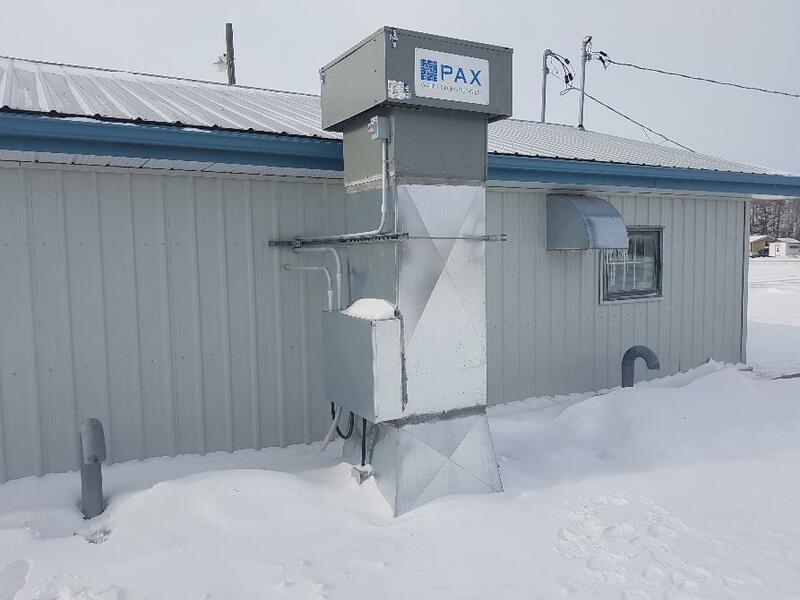 With over 150 systems in operation, PAX had significant experience in utilizing water storage assets as intervention points to eliminate THMs in distribution systems.